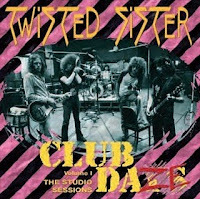 If you never had the opportunity to catch the venerable Twisted Sister ply their trade on the small stage (and c’mon, who among us has), then have no fear because Club Daze Volume 1: the Studio Sessions is here. This re-issue is packed to the hilt with rare and never-before-released studio tracks the boys used to jam night in and night out on stages of venues you’ve most likely never heard of. It might be an understatement, but Club Daze Volume 1: the Studio Sessions is a must-own for any and all fans of Twisted Sister. If nothing else this release proves the fact that these girls…err...boys...were far more than just a mere gimmick. Go Download: “I’ll Never Grow Up, Now"